Whether you’re the lucky bride who’s getting married or you’re the one attending a big fat Indian wedding, we know you have a lot of gorgeous shaadi outfits to flaunt! From sleeveless blouses to halter-neck cholis, your arsenal should be full of some beautiful designs for summer weddings. So we tell you how to get smooth, soft and hairless underarms in time for all the wedding functions - so you can dance without any inhibitions! 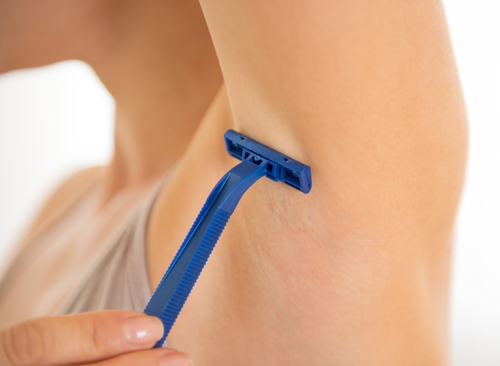 Shaving may seem like the easiest, most painless quick-fix for underarm hair, but it’s not something you should do on a regular basis. You see, shaving only removes hair from the surface, which makes hair grow back quickly. We suggest you opt for waxing or epilation, as the results are more long-term. Do you have armpits that are darker for the rest of your body? One reason for that is the presence of coarse stubble just below the surface of the skin. Again, the solution to this is to skip the shaving. Using hair removal creams usually aids in the reduction of this darkness and making the skin softer. We know how bad underarm waxing can sting. To get smooth and soft underarms, it is important that you soothe them after waxing. You can do this by applying ice over the area, patting it dry gently and then using an astringent. Also remember to moisturize the area with a good quality, hydrating body cream and avoid wearing tight, synthetic fabrics for a couple of days. A huge problem with most forms of hair removal is the possibility of ingrown hairs. 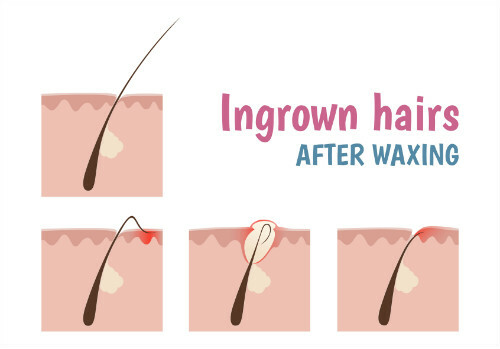 Ingrown hairs occur when the hair curls back into the skin instead of growing outwards. Not only is this painful to experience, it can look not-so-great too. Before you shave, epilate or wax your hair away, wash your armpits with lukewarm water and an antibacterial soap. Then exfoliate with a good scrub to remove dead skin and open up clogged pores, as they lead to ingrown hairs. Afterwards, allow your skin to breathe by wearing light cotton clothes that absorb sweat and avoid synthetic fabrics. This should help prevent ingrown hairs. If, despite all your precautions, you still end up with an ingrown hair or two, don’t panic! There are two ways you can deal with them: 1. Use a warm compress on the area to bring the hair to the surface and then gently pull it out with a clean pair of tweezers or a sterile needle. 2. Apply acne medication on it to help get rid of it quicker. Benzoyl peroxide or salicylic acid, applied 2 or 3 times a day, should help reduce the ingrown hair. Dark underarms can be caused by a variety of reasons. If the problem is not a perma-shadow, you can use potato slices to lighten your armpits. Simply cut thin slices of a potato and rub them over your underarms. Since potatoes are a natural bleaching agent, your underarms will become lighter over a few weeks. If your problem is more severe, ask your dermatologist to recommend medicated options. A yoghurt and orange peel mask is an excellent remedy for coarse underarm skin. Mix 2 tablespoons of dried orange peel powder in one small bowl of fresh yoghurt. Apply on your underarms and let it dry for for some time. 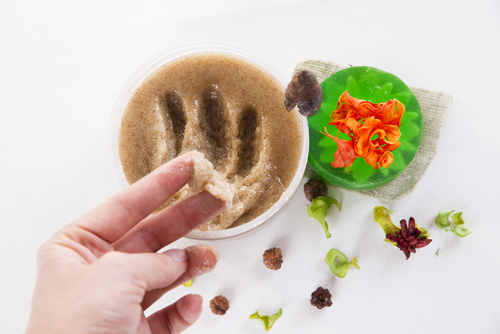 Wash it off with cold water and apply a light, unscented moisturizer to keep the area hydrated. This mask will help you get softer and smoother underarms for all your shaadi functions!